Stars: Three and three quarters out of five. Review format: Note plus links. Summary: Their armies have conquered half the world. Now they want the rest. The Fey, known for their beauty and their warrior magic, have set their sights on Blue Isle. They should conquer the Isle quickly; its people, simple and religious, have never known war. On the eve of the invasion, Jewel, the granddaughter of the Fey’s all-powerful Black King, has a frightening vision, one that ties her fate to the Isle forever. Still, she helps her father Rugar head the invasion force. The force meets a surprising resistance. Nicholas, heir to Blue Isle’s throne, has always dreamed of battle. Normally, he would be no match for the powerful Fey. But Blue Isle has a secret weapon—a weapon no one understands, a weapon that could stop the Fey in their tracks. Sacrifice – Kristine Kathryn Rusch: This is the first all-out fantasy I’ve read by Ms. Rusch, and it does not disappoint. The narrative switches from one limited-first-person to the other. At first I expected to follow Jewel extremely closely, but then I got more comfortable as the point of view spent almost equal time with Nicholas. I very much enjoyed the twist on the usual trope of ‘the Fey.’ Here they are warlike and steadily conquering everything within their reach. Not at all wispy and ethereal 🙂 Hmm, Romulans? The only hold-back from four stars is that I felt the pace slowed a little more than I wanted, as the important characters seemed to reach their intended locations for the end of this book. But, they’re set for act two now, and I am looking forward to learning what’s next. Hooray for completed series! I can read the whole thing as soon as I like, and I certainly will get going soon. Stars: Three and a half of five. 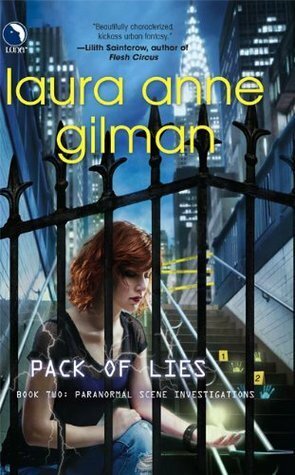 Summary: Sequel to an earlier book Hard Magic, Pack of Lies follows Bonita (Bonnie) Torres in her extrasensory sleuthing along with co-workers in PUPI. PUPI stands for Private Unaffiliated Paranormal Investigations. They look into crimes involving Talented humans or fatae (fae). From goodreads: My name is Bonita Torres, and eight months ago I was an unemployed college graduate without a plan. Now I’m an investigator with the Private Unaffiliated Paranormal Investigations team of New York. Pretty awesome, right? But we can’t give up. We’re needed, especially when a case comes along that threatens to pit human against fatae. But one wrong move could cost us everything we’ve worked for…. Provenance: Borrowed the e-book from my local library and read it on my iPhone. Date Read: Early May 2012. Well, hello again blogging world. I thought that this book was interesting enough to warrant breaking the long blog silence… because it’s the first I’ve read by this author, and I did enjoy it. I’ll want to look for others by her. As a second book (I’m guessing it’s going to be a series) – there were many references to what’d happened before in the founding of this pack of ‘puppies’. In this case, the extra backstory made me a little slower to build momentum in reading. But eventually I got pulled in by the investigation, and by the likable descriptions of the young investigators. The plot engine was based on an attack on a ki-rin’s companion and immediate retaliation by the ki-rin… ki-rin being a Japanese magic creature similar to a unicorn in that it has one horn and pairs with a ‘pure’ human. Sparks (both romantically figurative and paranormal) start to fly between Bonnie and her boss Ben Venec. That was nicely described and helped to round out the story beyond just the who-and-why-dunnit murder mystery. Stars: between 2.5 to 3.5 out of five. Review format: Comment plus links. I have a confession to make. While on a business trip in April, I read a whole bunch of trashy romance downloaded in e-book form from my local library. So. Romance. No, I haven’t got a genre category to track it here on my blog. But, now I admit: I have read some. I just tripped over a couple of these again online, so I feel they are due a restrained shout-out. Robin Kaye writes reliably fun romance stories. The female leads have lively, witty narrative voices; and despite the beefcake covers, the male leads are not as bad as you might fear. In Wild Thing I liked that our fish-out-of-water heroine took such enjoyment in wearing her offbeat ‘goth’ outfits. The trio of gorgeous brothers was just a little too perfect to be true, but hey it’s romance. Romeo, Romeo was my favourite of the bunch. It just felt the freshest, and I had the most fun reading that one. Plus, it was mostly describing just the one absurdly amazing guy, not a family of them. Review format: Brief review plus links. Theo and Raquel Motherwell are the only newcomers to the sleepy town of Wick in fifteen-year-old Ginger Pritt’s memory. Hampered by a lingering innocence while her best friend, Cherry, grows more and more embroiled with boys, Ginger is instantly attracted to the worldliness and sophistication of this dashing couple. But the Motherwells may be more than they seem. As Ginger’s keen imagination takes up the seductive mystery of their past, she also draws closer to her town’s darker history-back to the days of the Salem witch trials-and every new bit of information she thinks she understands leads only to more questions. Who-or what-exactly, are the Motherwells? And what is it they want with her? Provenance: eBook borrowed from the local library. 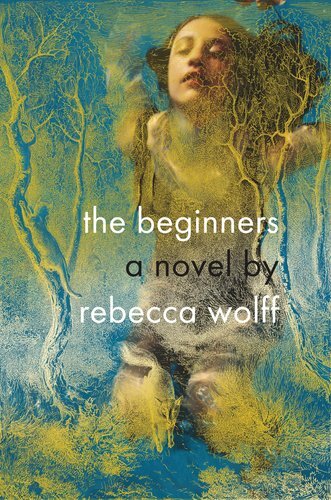 The Beginners – Rebecca Wolff: Reminds me a lot of Jo Walton’s Among Others… and that is a major compliment. Opening is great – morbid musings on death make you think something dreadful is pending, and perhaps that someone dreadful is narrating, but then surprise it’s a fifteen-year-old girl pondering deep topics while working at a diner. Hints of something awful yet-to-com, but nothing overwrought. Fabulously creepy description of ‘the new people’s’ tiny underfurnished house. Voice of narrator – old beyond her years but completely believable. You are currently browsing the archives for the Three and-a-half of 5 * category.